Why don’t Christians pray “May peace and salvation be upon Jesus”? Jesus-Islam » Other issues » Why don’t Christians pray “May peace and salvation be upon Jesus”? It should be noted that five times each day in their prayers all Muslims pray, “Peace and salvation be upon Mohammed.” They pray that God will grant Mohammed entrance to heaven. A man can only give to others what he has himself. If the leader of Islam himself does not know where he is going, what about his disciples? On the other hand, Christians do not need to pray these words for Jesus, “Peace and salvation be upon Him.” Why not? Because He is the Lord of all. 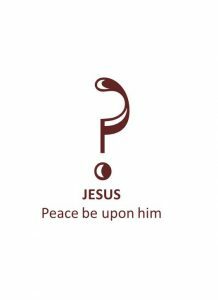 The Messiah is described as the Prince of Peace by the former prophets (Isaiah 9: 6), the giver of peace in the Injil (John 14:27, Colossians 1:20), “For in him dwells all the fullness of the Godhead bodily” (Colossians 2: 9) . Christ is our “peace” (Ephesians 2:14) and He gives us true spiritual peace. We know where He is. The Injil describes Him ascending to heaven. He, who is the Prince of Peace, doesn’t need our prayers. It is the other way round. We need Him. Only in and through Him can we know peace with God, and the calm spirit of the peace of God that passes understanding.